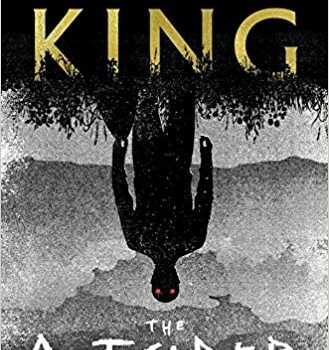 The Outsider, Stephen King (Scribner 978-1501180989 $30.00, 576pp, hc) May 2018. According to Grady Hendrix, who spent a couple of years re-reading Stephen King’s published work for Tor.com (it’s a magnificent undertaking, and you should absolutely check it out) King has written 10 novels where the death of a child is central to the plot. With the release of The Out­sider, that number can be increased by one. This time the catalyst is the brutal, sadistic murder of 11-year-old Frank Peterson. Detective Ralph Anderson of the Flint City Police Department is convinced that Terry Maitland, respected coach of the City League team, is the killer. Maitland was observed giving Frank Peterson a ride in a dirty white van, the same dirty white van that was recognized by an eye-witness not far from Frank’s mutilated body. Maitland was also observed emerging from a parking lot, adjacent to Figgis park (where the body was found), covered in blood. If that wasn’t convinc­ing enough, his fingerprints and DNA were found all over the white van and the crime scene. It’s the proverbial open-and-shut case and Anderson, con­fident in his convictions and furious at Maitland’s betrayal (he coached Anderson’s son), organizes a public arrest of the coach at a baseball game before 1,500 people. There’s one catch though: Terry Maitland has a cast-iron alibi. At the time Frank was murdered Terry was 70 miles away attending a talk by crime novelist Harlan Coben (like Terry, King is a fan of Coben’s work). There’s even video online of Maitland asking Coben a question: “Do you al­ways know who did it when you sit down to write, Mr. Coben, or is it sometimes a surprise even to you?” Could all those eye-witnesses be wrong? Could someone have tampered with the physical evidence? Could Terry Maitland have a previously unknown, but clearly homicidal twin brother? The explanation turns out to be supernatural, but that’s not immediately evident. King’s forays into crime over the last decade have broadened his authorial palate, an admirable feat given he’s just turned 70 and penned over 50 novels. The first half of The Outsider has all the propulsive energy of a gripping police procedural: interviews with eye-witnesses, graphic descriptions of the crime, the collection and analysis of forensic evidence. The book is so steeped in the crime genre that the first reference to a figure with a face “lumpy, like Play-Doh” and “straw for eyes” reads like a red herring and not an encounter with the monster at the heart of this tale. It’s Holly Gibney who resolves the paradox of the two Terry Maitlands and confirms that our murderer is not human. Holly will be familiar to those who have read the Bill Hodges trilogy that starts with Mr. Mercedes (2014) and concludes with End of Watch (2016). She is the socially awkward, but keenly observant friend of Bill Hodges (she now runs his detective agency, Find­ers Keepers). In The Outsider, Holly is asked to follow up a possible lead, a case in Dayton OH where two young girls were murdered. King devotes a whole section of the novel to Holly’s investigation, and it’s here where the supernatural elements take hold. 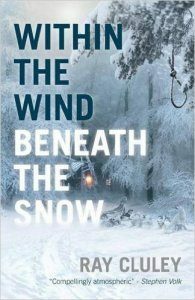 Given how the Bill Hodges trilogy took a turn for the paranormal in the con­cluding volume, it’s fitting that Holly is the person to turn this crime novel on its head. She does so in the most extraordinary fashion, describing El Cuco – the creature that murdered Frank – by referencing a Las Luchadoras film, Mexican Wrestling Women Meet the Monster. The scene is pure cheese (King has always reveled in “low culture”) and a masterclass in storytelling and beat perfect plotting. Like a great deal of King’s fiction, The Out­sider is about the inexplicable, irrational nature of evil. Monsters, whether it’s Pennywise the clown, Randall Flagg, or Brady Hartsfield (the list of examples is endless), have always been at the forefront of King’s work. These creatures are never drawn with much subtlety or nuance, but then they’ve always been a means to an end, shining a light on the courage and bravery of those willing to stand against them. The binary nature of King’s universe might seem trite, old fashioned, and yet, in the current political climate, with the rise of the alt-right and populist leaders mouthing the sentiments of white supremacists and Nazis, a reminder of the boundary between good and evil is suddenly relevant and urgent. The Outsider is as captivating and engag­ing as anything King has written over his long career. 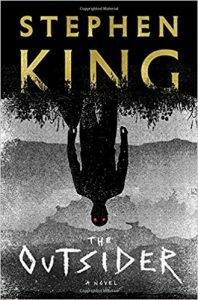 Yes, the ending is a little underwhelming (a common problem with King’s fiction) and, yes, the novel features a number of his many tics (not just the presence of dead kids, but the repeti­tion of phrases and images like “maggots in the cantaloupe”) – however, very few authors have his feel for story. 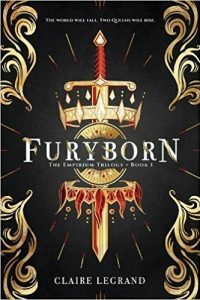 His ability to make you care for his characters, believe in the ridiculous, and immerse yourself in his world is not a uniquely Stephen King phenomenon, but it certainly bears his trademark.